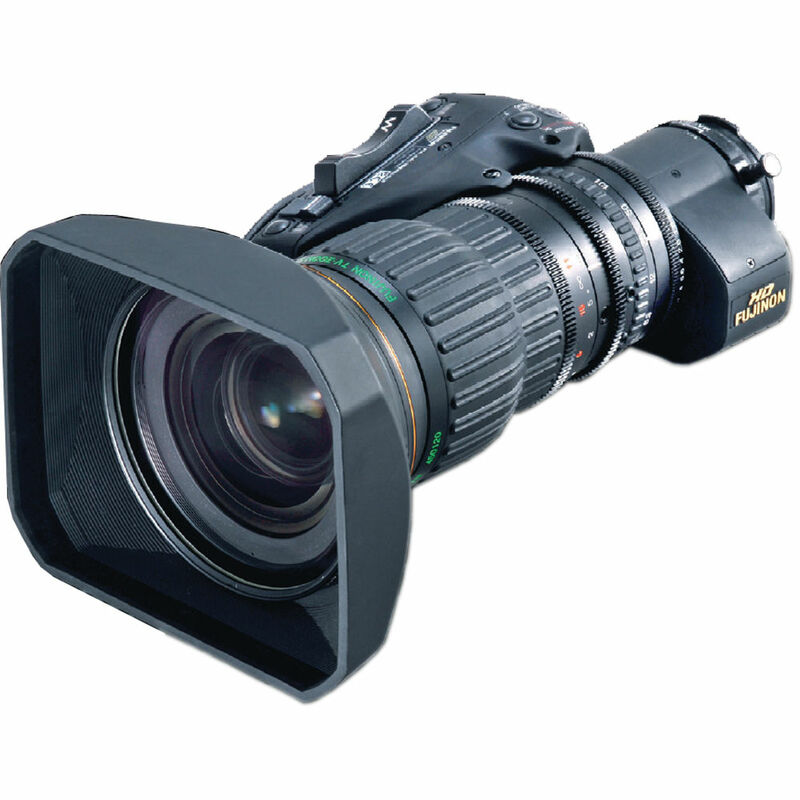 While the "UA18x5.5" weighs 2.04kg, it covers focal lengths from 5.5mm on the wide angle end to 100mm on the telephoto end, making it useful for production situations that require added mobility, e.g. news reporting and on-location production for various programs. Super Wide Angle ENG/EFP with 2.2X range extender. Digital servo zoom & focus for full servo studio control, robotics, jibs, tower cams, teleconferencing and other applications where remote control of zoom, focus and iris via RS-232 serial data or traditional analog control is desired. Optional zero backlash gearing and 16 bit encoders available for robotics and virtual applications. Remote control of the 2.2x extender is possible with the optional model ECU-2A remote extender module. *Filter attaches to the lens hood. The New HA18x5.5 combines the best of both worlds, a wide lens to get those tight, under the basket shots, and the ability to follow the player down the court. 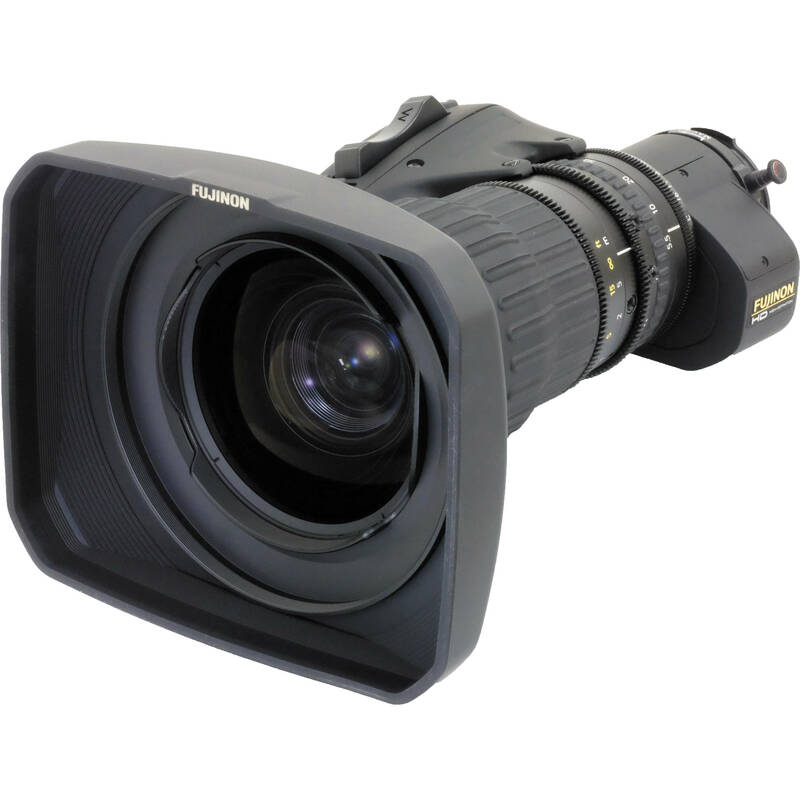 A lens you will be comfortable with for an interview or studio work, as well as on the sidelines of a football game. 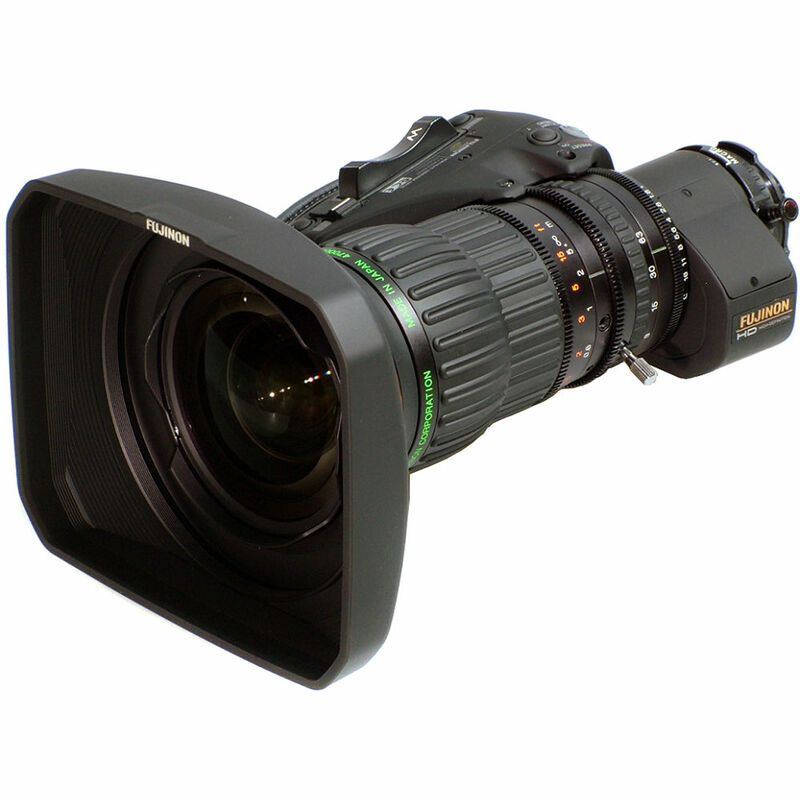 The HA18x5.5 with extender features a wider angle and higher zoom ratio than the popular multi-use HA16x6.5. An incredible 0.4m M.O.D. gets close-ups like never before. Digital servo zoom & focus for full servo studio control, robotics, jibs, tower cams, teleconferencing and other applications where remote control of zoom, focus and iris via RS-232 serial data or traditional analog control is desired. Optional zero backlash gearing and 16 bit encoders available for robotics and virtual applications. Remote control of the 2X extender is possible with the optional model ECU-2A remote extender module. The HA18x employs the latest High Transmittance Electron Beam Coating (HT-EBC) resulting in richer colors and greatly improved blue response and transmittance. HT-EBC, coupled with Fujifilm’s exclusive Aspheric Technology, reduces ghost and flare and increases light transmission. Standard ENG Style for news and production. Digital servo zoom & focus for full servo studio control, robotics, jibs, tower cams, teleconferencing and other applications where remote control of zoom, focus and iris via RS-232 serial data or traditional analog control is desired. Optional zero backlash gearing and 16 bit encoders available for robotics and virtual applications. Remote control of the 2X extender is possible with the optional model ECU-2A remote extender module.